Telling stories simultaneously in multiple media is like creating a new “geography of the tale”, and it requires the author and the audience to find new, interactive spaces for sharing in publishing projects for cinema, tv-series, advertising campaigns, videogames, mobile apps, cartoons & comics, books and performative events, respecting the features and the language of all the media, even if they are part of a single system of integrated communications. But, as they say, It all starts with Story. Transmedia Storytelling explores the theories and describes the use of the imagery and techniques shared by producers, authors and audiences of the entertainment, information and brand communication industries as they create and develop their stories in this new, interactive ecosystem. From Star Wars to The Dark Knight, from Lost to Heroes and Dexter, from Assassin’s Creed to Lord of the Rings and Avatar, using more than 50 examples of successful projects from all over the world, and with the contribution of some of the most important producers and international researchers, Max Giovagnoli shows how to create products, works, tales and ad campaigns for audiences, and looking at the new narrative universes and the international franchises of the “transmedia culture”, with their storytelling paradigms, their rules and their great opportunities. Scene 1: The Brooklyn Bridge is 5989 feet long, that is to say a little more than a mile. Everyday it is crossed by about 125.000 cars. Yet, just from an exclusive point, after walking for half its distance, looking east, amongst the spires and the parallelepipeds of Downtown Manhattan, you can catch sight of it: Sixth Avenue, the Avenue of the Americas. The avenue that harbors skyscrapers, one after another, the Fox and CNN towers, the NBC studios and the bright towers of Time Warner. In a word, the television of the shows, the news and the popular fiction series of today. Instead, looking back, or rather below them, where the bridge spans the opposite side of Hudson River, there is a little park crossed by a path and some unplastered benches. This is the Brooklyn Height Promenade, exactly the point where all the famous directors place their cameras to create the collective imagination of the “Big Apple” and the “America Today” of the contemporary cinema. It’s like a good omen: the cinema under the bridge, near the imagery and the material (liquefied as the fantasy) which flows like a river. Television, instead, is beyond the river, in order to raise towers on towers, season by season, until you are not able to distinguish them one from another anymore… Until one night, while you are there, standing on the bridge, suddenly your cell phone’s vibration mysteriously brings you to your senses: is it just the usual promotional MMS from an unknown number? On the contrary: the sender is Dexter! He appears in the photo with a strange knife in one hand while taking note of an address in order to help him in his new “leather work”, if you don’t want to have dreadful trouble! Scene 2: Spideman and Goblin face each other on the top of one of the two double lancet windows of the Brooklyn Bridge: the former swings while hanging on his cobweb and the latter flies around him threateningly, missing him with his glider missiles. The graphic and visual effects are perfect. Only a very trained eye could distinguish at first sight if it is a movie or a videogame. The narrative is captivating; interface is invisible; soon the audience is drawn into the tale until the image is suddenly blocked and… to continue the tale, the audience finds out something must be done. But… what? Some research and you easily discover that the answer is in a comic book published on sale in every news-stands: photographers with your smartphone, qrcode printed on its cover and you will soon get some advice about how to continue your online tale or, even, influence it while it develops! Scene 3: Have you ever noticed that when Mickey Mouse turns his head, his ears don’t change perspective, but stay still, one stands up more than the other, on the back of his neck? Everybody always misses it in the comics, and even watching Fantasy on a cinema-sized screen a few people would notice it. On the contrary, if you tell this to Warren Spector, the inventor of Epic Mickey, the videogame that is linked to the most popular Disney icon in the world, he will tell you how many days he spent programming so as not to let the ears of Mickey Mouse move when the winner was playing this platform game…So, that’s more than comics! But…what I am getting at? 4. 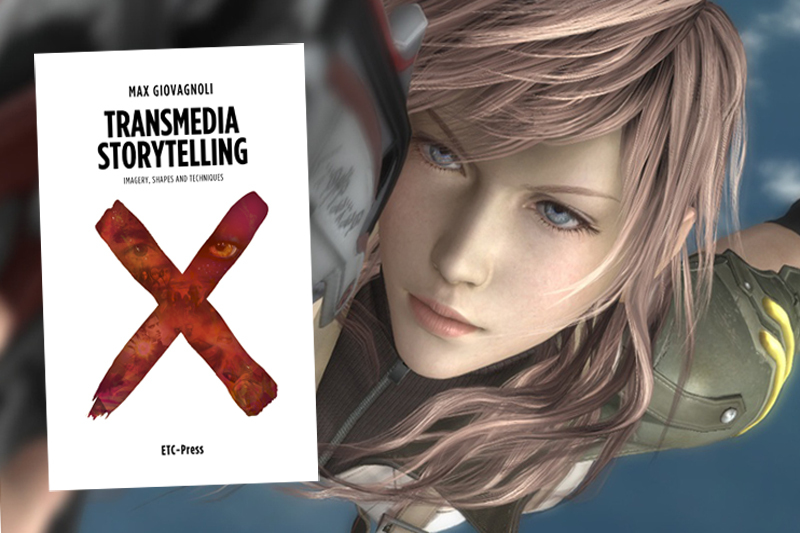 Doing transmedia means to agree to give a part of the authorship and responsibility of the tale to its audience and other storytellers in order to create a participatory and synergistic story in the eyes of the different audiences of the tale. Thus, exploding the narrative universe of a story by using transmedia is even more like a question of experience than a use, and it makes the compromises and challenges necessary for both the authors and audiences. Not only this, however. It is a proper founding act for the tale, in fact, and an excellent opportunity to influence the homo ludens of today who is longing for a new and more active role in the process of fantasy- and imagery-making.